COLUMBIA, MO—Readers in areas served by community newspapers continue to prefer the community newspaper as their source of local news and advertising, according to the 2011 results of an annual survey conducted by he National Newspaper Association and the research arm of the Reynolds Journalism Institute at the Missouri School of Journalism. The survey is in its sixth year. Following consistent trends, the study shows that 74 percent of people in communities served by a newspaper with circulations under 15,000 read a local newspaper each week. They prefer the printed copy to the online version, with 48 percent saying they never read the local news online. 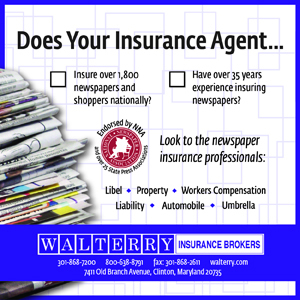 They prefer to receive advertising through the newspaper (51 percent) instead of on the Internet (11 percent). And only about a quarter of respondents said they had found local news through a mobile device in the past 30 days. Slightly more (38 percent) said they had received local shopping information by mobile device. They also have a strong preference for government accountability through newspaper public notice, with 80 percent saying the government should be required to publish notices in the newspaper. 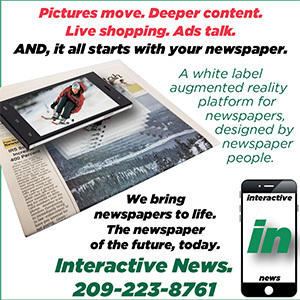 NNA President Reed Anfinson, publisher of the Swift County Monitor-News in Benson, MN, said the study demonstrates that citizens believe in newspapers. 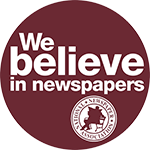 Since 2005, NNA has done research on how people read and what they think about their local newspaper. Results have been consistent over the years, even as sample and community sizes have been adjusted slightly. l 74% of those surveyed read a local newspaper each week. l Those readers, on average, share their paper with 2.33 persons. l They spend about 38.95 minutes reading their local newspaper. l 73% read most or all of their community newspaper. l 43.8% keep their community newspaper six or more days (shelf life). l 61% of readers read local news very often in their community newspaper, while 48 percent say they never read local news online (only 11 percent say they read local news very often online). l Of those going online for local news (167 respondents), 52 percent found it on the local newspaper’s website, compared to 20 percent for sites such as Yahoo, MSN or Google, and 25 percent for the website of a local TV station. l 33% of those surveyed read local education (school) news very often in their newspaper, while 68 percent never read local education news online. l 27 percent read local sports news very often in their newspaper, while 70 percent never read local sports online. l 40 percent read editorials or letters to the editor very often in their newspaper, while 64 percent never read editorials or letters to the editor online. l 80 percent think governments should be required to publish public notices in newspapers, with 23 percent reading public notices very often in their newspaper. l 70 percent have Internet access in the home, but 80 percent never visit the Web site of their local chamber of commerce. l Of those with Internet access at home, 89 percent have broadband access. The local community newspaper is the primary source of information about the local community for 51.8 percent of respondents compared to seeking information from friends and relatives (16 percent) and TV (13.2 percent.) Readers are seven times more likely to get their news from their community newspaper than from the Internet (7.4 percent). Less than 6 percent say their primary local news source is radio.